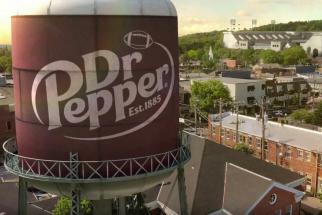 Dr Pepper has replaced Larry Culpepper with a town filled with college football fanatics. 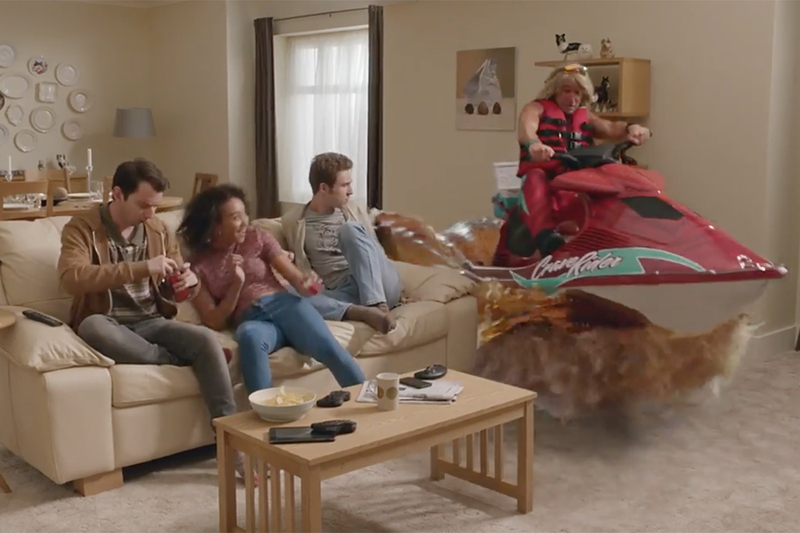 The fictional "Fansville" is the setting for the soda brand's new campaign that parodies TV show dramas. Pigskin-obsessed characters fill a series of ads pitting fans of the generic "State" university versus their nemesis, "Tech." College football has long been a key part of Dr Pepper's marketing playbook. The brand, a sponsor of the College Football Playoff, has since 2014 relied on the concessions character Culpepper to carry its football message. He was dumped earlier this year in a move that drew a mixed reaction on social media. Culpepper arrived at the dawn of the College Football Playoff and the character's schtick was that he delusionally believed he invented the playoff. The act, which played out endlessly on hours of televised football coverage, proved irritating to some fans. But Culpepper had supporters, too. 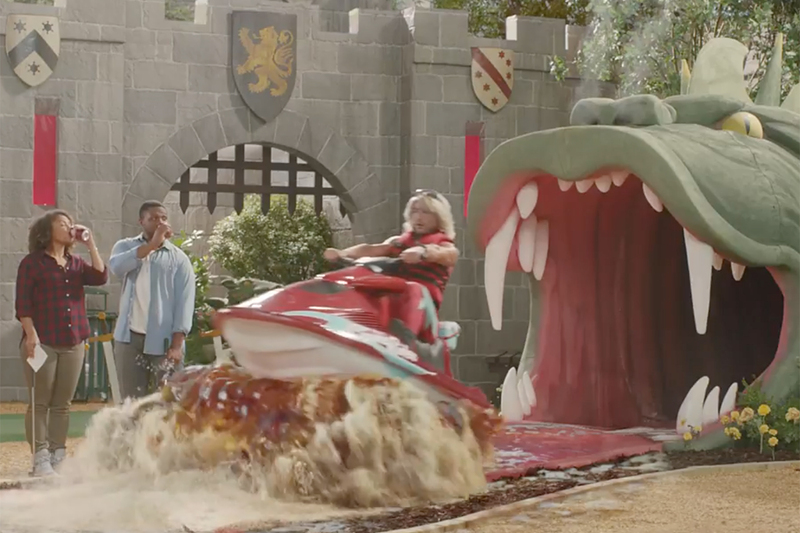 "With anything you will find the lovers and the haters so I don't think we had any indication it was swaying in one direction or another," says Derek Dabrowski, VP of Dr Pepper brand marketing. From a business perspective, he says the campaign "performed phenomenally for us," but the brand wants to paint a "new narrative to our commitment to football." Dr Pepper finished 2017 as the fourth-largest soda brand, according to Beverage Digest. It gained 0.1 points of volume share, while No. 1 Coke remained flat and Pepsi and Diet Coke both lost share. Dr Pepper's new campaign, by Deutsch, has a cast that includes ex-NFL players Brian Bosworth and Eddie George, who respectively play a sheriff and a doctor. Former Louisiana State University Coach Les Miles plays a store clerk. The director is Jonathan Krisel, whose TV credits include "Baskets" and "Portlandia." 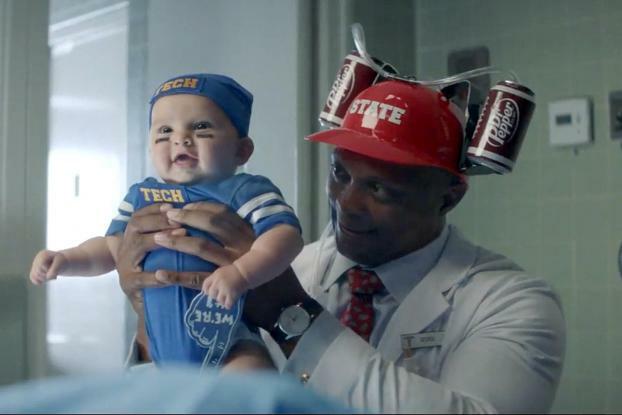 In one ad, seen here, called "Blindsided," a baby is born in "Tech" clothing to parents who are "State" fans, prompting suspicions. The approach taps into the extreme fandom that penetrates football-obsessed communities across America, especially in the South where college football rules. "We conceived what would a world look like that just for college football fans," Dabrowski says. "We didn't want this to be subtle in the least bit." Dr Pepper confirmed in May that Culpepper would not be coming back. But the new approach has apparently been in the works for a while. Deutsch sent staffers to January's national championship game pitting Alabama vs. Clemson as part of its research into fandom. "A football season is lot like a drama that plays out," says Brett Craig, VP and executive creative director at Deutsch. "It has highs and lows and a season-long story arc to it. It has episodes with audiences tuning in each week for each game and it culminates in a season finale with a championship game�" kind of like a TV drama." Following that model, the campaign will culminate with an ad airing during the 2018 season championship game on Jan. 7. Dr Pepper earlier this year announced it extended its College Football Playoff sponsorship through 2026.